Blizzard: Mists of Pandaria "Could Refer to Anything"
It's been an eventful Gamescom for Blizzard so far, with fresh details on Diablo III and the end of Deathwing in the works, but what about the question on every World of Warcraft player's mind? What is Mists of Pandaria? "We don't comment on rumors or speculation," was the initial answer World of Warcraft lead designer Tom Chilton gave when Brian Crecente asked him about Mists of Pandaria, the strange trademark application that came to light earlier this month, leading many to believe it was the name of the next World of Warcraft expansion pack. Pandaria refers to the homeland of the Pandaren, anthropomorphic panda bears that have long been the subject of jokes between Blizzard and Warcraft fans. They appeared in Warcraft III and play a role in the World of Warcraft pen-and-paper RPG, but for the most part they're naught but a legend in World of Warcraft proper, subject of tales of a hidden city locked away from the rest of Azeroth. And they may remain legend. After giving the expected rumor and speculation response, Chilton continued. "That (the trademark) can apply to anything. We've got comic books and other things we're doing," he said. 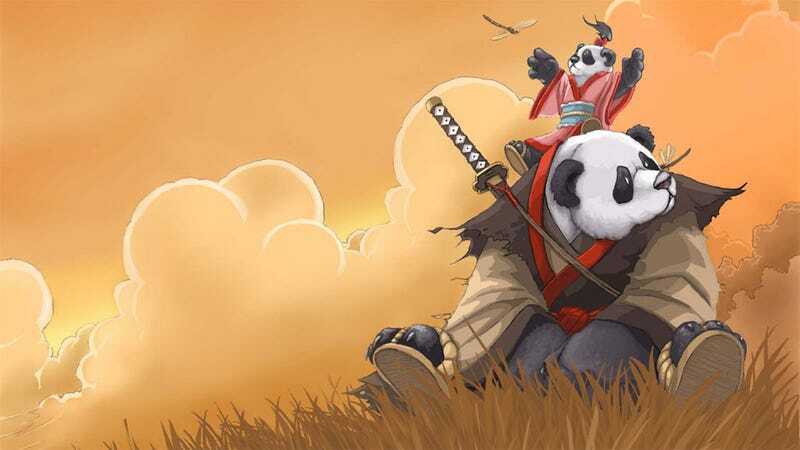 Could MIsts of Pandaria be a comic book series? A novel? The trademark specifically mentioned software, but that tag is still rather vague. It could simply indicate a tie-in with a video game. Hell, it could be a casual MMO side story to the main game, something that seems perfect for the light-hearted tone of the warm and fuzzy panda people. Or it could indeed be the next expansion. "We're definitely working on an expansion but we're not talking about any details yet," Chilton finished. I expect all will become clear in time for October's BlizzCon in California. Until then, I'm crossing my fingers that Mists of Pandaria is something else. The last thing World of Warcraft needs right now is more furries.